Why Am I Having Migraines? Could Gluten, My Gut or Celiac Be The Cause? I have many patients in my office who suffer from migraine headaches and are looking for solutions to their symptoms. I would like to shed some light on this common malady and offer tips to aid you in limiting or eliminating migraines headaches. A study published in the journal Headache addresses migraine headaches in people with celiac disease, inflammatory bowel disease and non-celiac gluten sensitivity. They found that all three groups had a significant increase in migraine headaches compared to the general population. We have long thought people with celiac disease have more migraine headaches, and previous studies have addressed this issue, but now we have even more evidence this is true. And, there is little prior evidence addressing migraines in inflammatory bowel disease or non-celiac gluten sensitivity, given that the latter is a newly defined entity. Migraines may come on rapidly or slowly. They typically occur on one side of the head, but can be bilateral. They may or may not be preceded by an “aura”- a type of “warning signal.” Typical auras are flashing lights or smells, but may be other experiences such as numbness, weakness, changes in speech or other visual changes. Migraines can last anywhere from several hours to several days, and in some people even longer. They are often associated with nausea, vomiting, flu-like symptoms, and a sensitivity to light and sounds. They range from mild – in which people can function and work – to severe, where patients are completely incapacitated for several days or longer. Food : Although many people with gluten issues notice an improvement or complete alleviation of migraines once gluten is eliminated from their diets, this is not always the case. 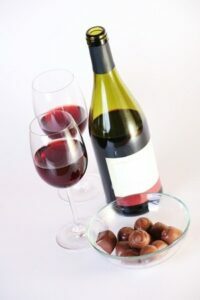 There are many other foods that are notorious for triggering migraines, such as chocolate, MSG, aspartame, aged cheeses, red wine, beer, and yeast, but any food can be a trigger for a particular person. Sleep: Either too much or too little sleep can bring on migraines in certain individuals. An optimal amount of sleep for most adults is seven to eight hours per night. Hormonal Changes: Many women notice an increase in the number of migraines right before their period or mid-cycle. This is thought to be due to changes in estrogen levels. Other women notice a change in migraine frequency during pregnancy. This can be either an increase or decrease in incidence. Stress: Stress affects everything in our bodies and headaches are no different. Stressful situations can elicit migraines. Weather Changes: Some people notice a change in migraine frequency with a change in the weather. This is thought to be due to a change in barometric pressure. Odors: Strong odors such as paint, perfumes, or smoke may set off a migraine in certain individuals. Medications: Birth control pills, nitroglycerin, cold medicines and many others have been named as culprits for initiating migraines. Environmental Triggers: Bright lights, flashing lights and computer use are a few environmental prompts. Dehydration: Inadequate water intake may be a cause for some. Iron: Low iron levels are often associated with celiac disease and headaches. Vitamin D: Past studies have shown low vitamin D levels in migraine sufferers. This association is still being evaluated. High Vitamin D levels have also been blamed. Zinc: Low zinc can lead to elevated levels of copper, which can trigger migraines. B12: This vitamin is important for red blood cell formation and a healthy nervous system. It is often low in celiac patients and these low levels can lead to headaches. Magnesium: Some migraine patients have low levels of magnesium. And some, not all, have found relief with magnesium supplementation. Please consult your physician to determine the appropriate treatments for you. Headache Journal: Everyone has their own particular trigger or triggers for the onset of a migraine. Keeping a headache diary is a great way to find yours. On days on which you experience a migraine, keep note of all the possibilities listed above and see if you can discover a pattern to your onset. Your specific trigger may not be listed above so make sure to keep track of any other items of importance on your headache days. Good Sleep: Sleep is very important for our overall health. Ways to improve the amount and quality of sleep include: eliminate caffeine, especially after noon; keep television and electronics out of your sleeping space; go to bed at the same time nightly; and practice relaxation techniques prior to bed. The light from computer screens and televisions may actually suppress melatonin levels and create sleeping difficulties so avoiding “screen time” for two hours before bedtime is recommended. Melatonin, and valerian have been used to regulate sleep cycles in migraine sufferers. Aim for seven to eight hours of sleep per night. Stress Reduction: Exercise, progressive muscle relaxation, breathing exercises and guided imagery, are a few stress reducers; find the one that works best for you. Possible Supplements: Magnesium, riboflavin (B2), Co-Q10, essential fatty acids (fish oil), butterbur, alpha lipoic acid and feverfew have all been used to prevent migraines. Magnesium is also often used while experiencing a migraine to minimize or alleviate symptoms. Mind Body Techniques: Hypnosis, biofeedback and meditation have all been used with success to stave off migraines. Regular practice of these techniques improves outcome. Homeopathy: Evidence is hard to evaluate with homeopathy, but some studies have shown benefit. Side effects are almost non-existent with homeopathy, so from an integrative perspective it is often worth a try if a patient is willing. Pharmaceuticals: Tricyclic antidepressants, beta blockers, botulinum toxin and calcium channel blockers are some of the medications used for prevention of migraines. Pharmaceuticals: Please consult with your physician regarding appropriate medications for you. Medications used for migraines include anti-inflammatories such as ibuprofen, triptans such as Imitrex, Midrin, ergots medications such as ergotamine and intranasal lidocaine. If none of these are effective, some severe migraines are treated with narcotics. Each individual must work with their doctor to determine what is right for them. 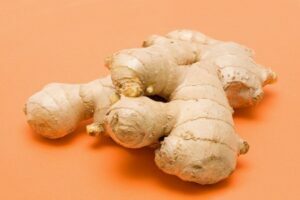 Ginger: Ginger works to alleviate the nausea associated with migraines. It is available in raw form as a root – this can be made into a tea, or ginger tea can be purchased. It is also available in a chew form, as a supplement, capsule or tinctures. Magnesium: As mentioned previously, this can be used preventatively or as a treatment. It can also be used safely in pregnancy. Please consult your obstetrician before use if you are pregnant. Chiropractic: Manipulation may decrease frequency, severity and duration of migraines. Acupuncture: Current evidence shows it to be an effective adjunct to treatment. Anecdotally, patients have often expressed terrific results with acupuncture. Acupressure: Accupoint PC6 may be used without harm to alleviate nausea associated with headaches. Sea-Band ® wrist bands can be used to activate this point. LI4 is also easily located and used. There are several You Tube videos that will instruct you on this frequently helpful technique. If you are further interested in acupressure, you may wish to consult a certified Chinese medicine practitioner for additional points. Avoid known triggers if possible: Once you have identified your triggers, do your best to avoid them. It sounds simple but everyone loses sleep sometimes or gets in an unavoidable situation where a trigger may be present. You have a headache after injury or trauma. Your headache is accompanied by fever, stiff neck, visual changes, or neurologic symptoms such as numbness, weakness, visual changes, speech changes or confusion. The pattern of your headaches changes. I hope you have found this helpful and you are on the road to a migraine free future ahead!